It feels like ages ago that I was messing about spraypainting plastic spoons, working on chipping them and comparing which chipping medium worked best. 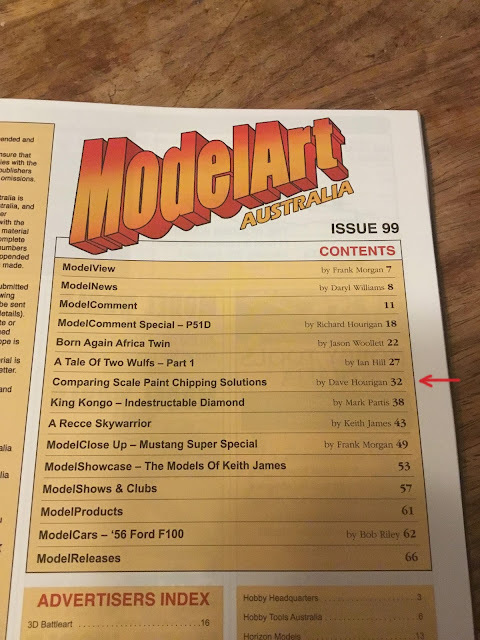 Then yesterday I received an advance copy of ModelArt Australia magazine, issue 99 Feb/March 2018, with my article in it - exciting! If you can get out and purchase a copy, I recommend you do so. It's all good stuff throughout. 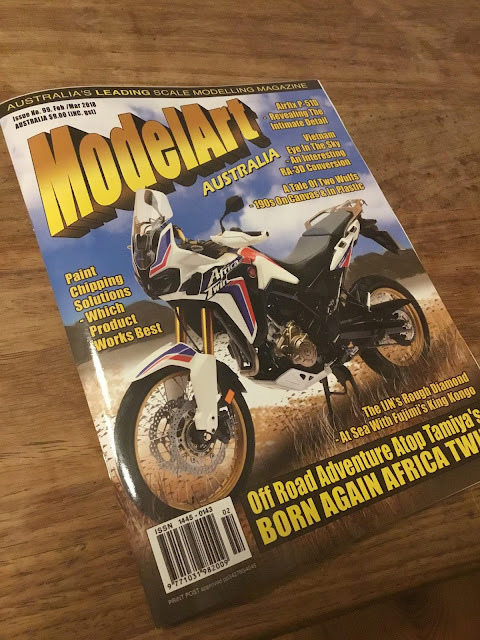 For international readers, you might struggle to get your hands on a copy, but it's available throughout Australia. I don't directly financially benefit in any way if you buy a copy, but it's always good to support local model resources. 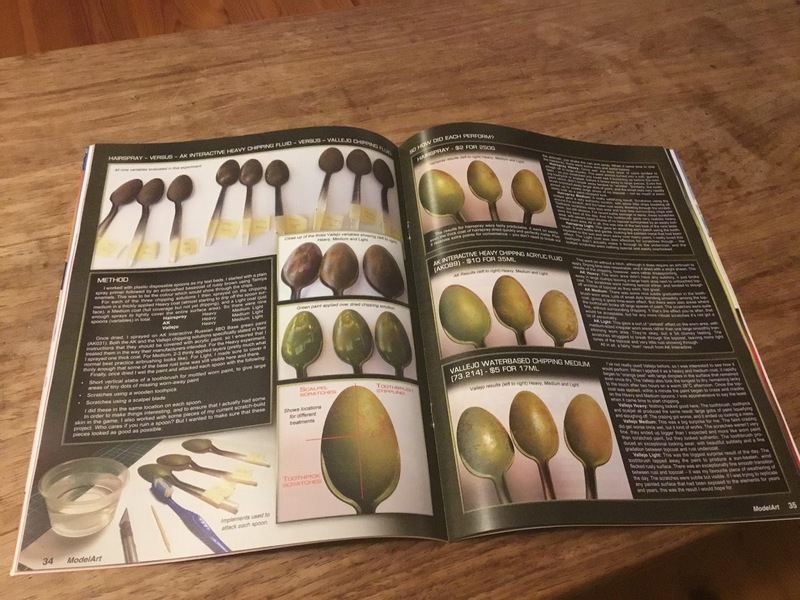 And the other good news is that now that this issue is out, I can now share with you all the content I produced for my last article in the previous issue - so stay tuned for that very soon. Ever find mystery items appear on your workbench? When do Models become Art?